This is the last iteration of my China 2014 Photo Report series, you can see all previous Reports here. I hope you enjoyed it! 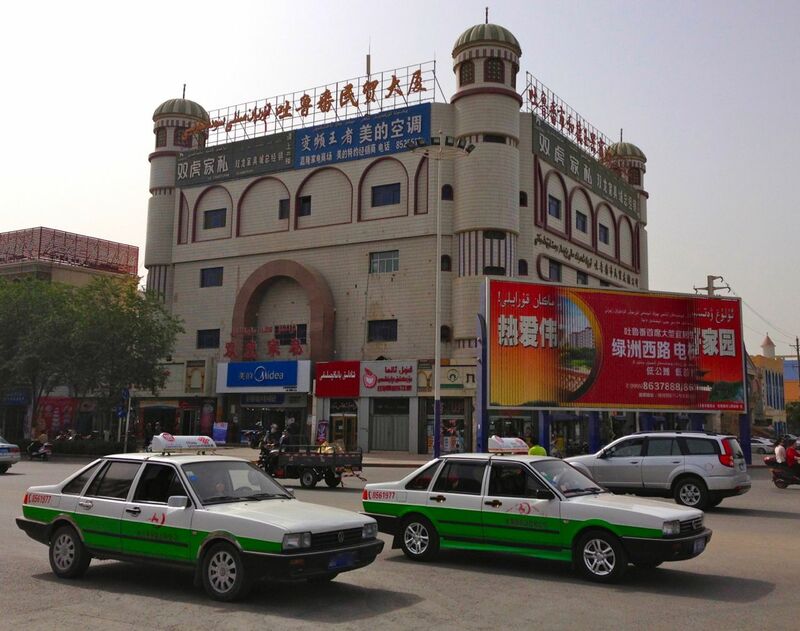 After Kuqa we now head 680 km East to Turpan (pronounced Tooloopan), located 150 km South East of Ürümqi the capital city of the Xinjiang Uyghur Autonomous Region in Western China. But first in the light of the recent terrorist attacks in Ürümqi I would like to share my sadness and condolences for this tragedy and I really hope the tense situation in the region will be resolved, as these attacks are the work of extremists and do not reflect the Uyghur population’s sentiment towards the Han Chinese. Needless to say my trip ended up being made in the nick of time as travel to Xinjiang Uyghur is now strongly discouraged. Check out this webpage for on the ground updates about the current situation in Xinjiang Uyghur. Back to Turpan, and once again this town offers a unique car landscape as well as a unique architecture. 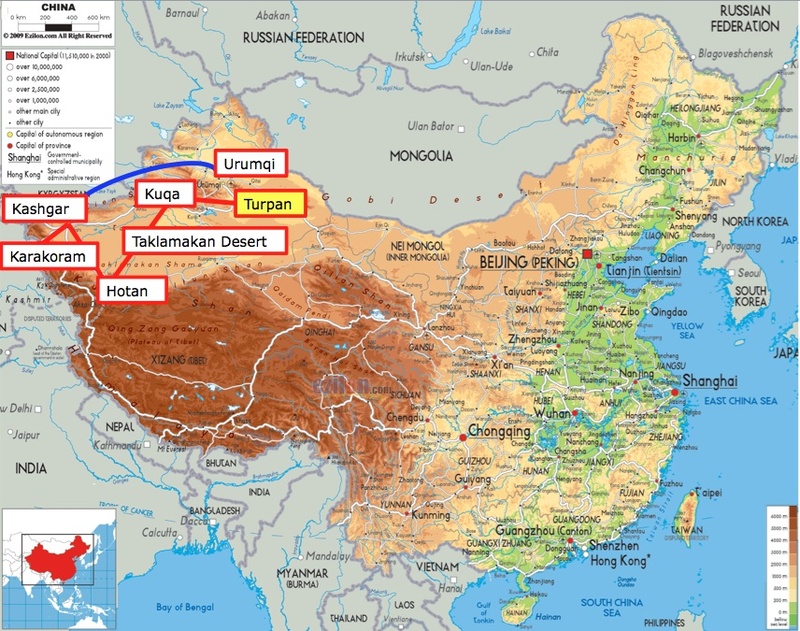 Turpan is located at the centre of a fertile oasis and has been an important trade centre for centuries, historically located along the Silk Road’s northern route. As such the buildings and scenery are a unique mix of Southern France vineyards and what I imagine Mauritanian building to look like: tall and made of mud bricks with opening at the top to let the breeze in in scalding hot weather – by far the hottest temperatures I have experienced during this Chinese trip. The final leg of the trip! 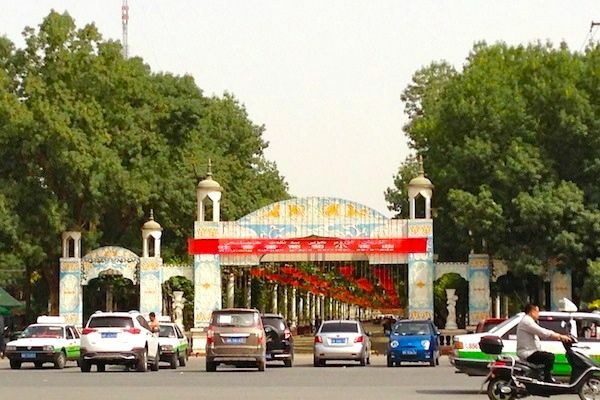 Now onto the car landscape, and Turpan is symbolic of a Chinese countryside that is rapidly developing, with many signs of wealth in the traffic, building on the brand-new tractors I spotted while crossing the Taklamakan desert. 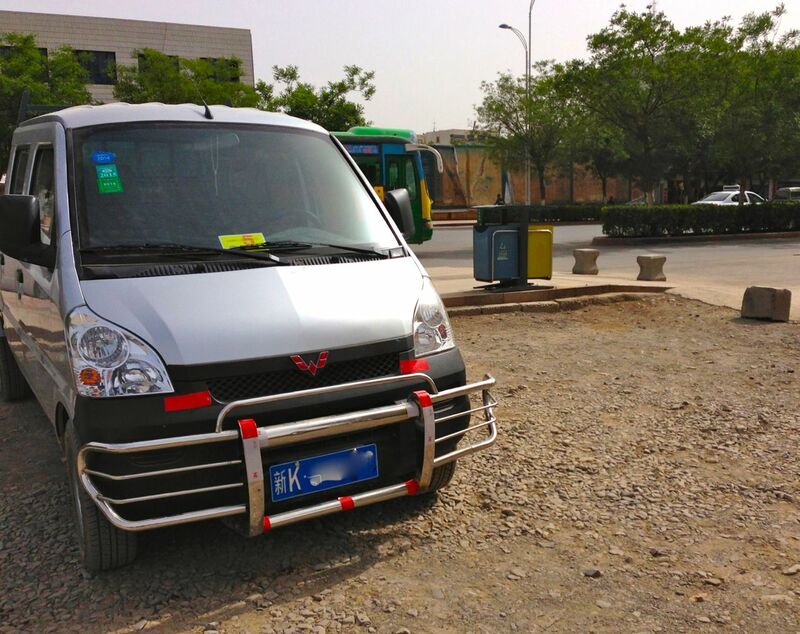 The most popular vehicle in town is by far the new generation Chana Star pick-up, especially the double cab 4WD variant which was also very popular in Hotan. 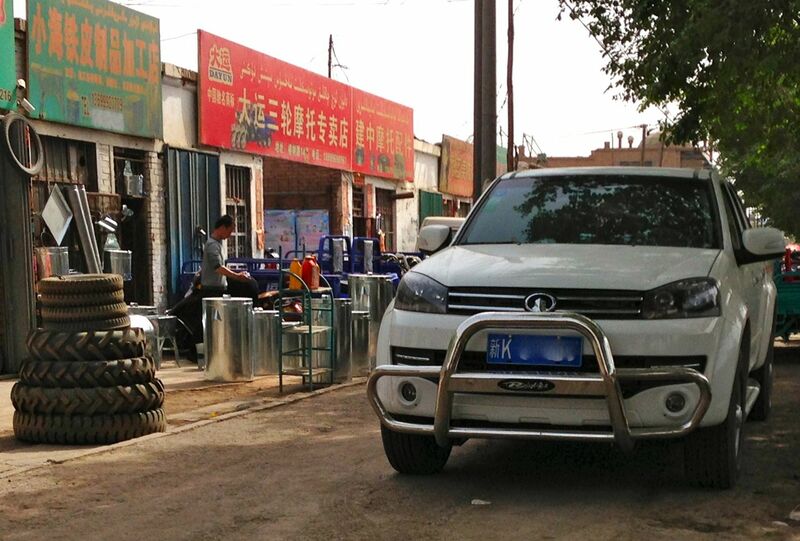 The local Chana dealer indeed is very dynamic in Turpan with many advertising billboards spotted and a huge dealership on the outskirts of town. In second place I would position the ever popular Wuling Hongguang, once again justifying its national pole position by a very strong presence in the countryside. 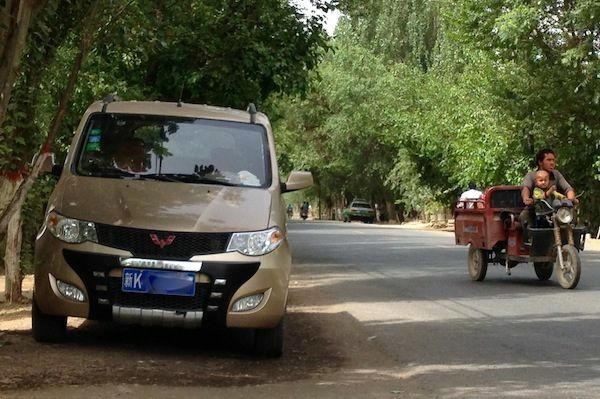 There were also an above average amount of Wuling Rongguang pick-ups, some of them with huge bull bars (see below), and the Chana Taurustar is also very popular in Turpan. Illustrating the newfound wealth of the region, shining new 1 ton pick-ups are also plentiful in Turpan, including the ZX Auto Grand Tiger, facelifted Great Wall Wingle, Huanghai Plutus and the Foton Tunland which had been extremely discreet during this entire trip up until the very last leg. Finally a special mention to the BAIC Weiwang 205 MPV, spotted a couple of times here. 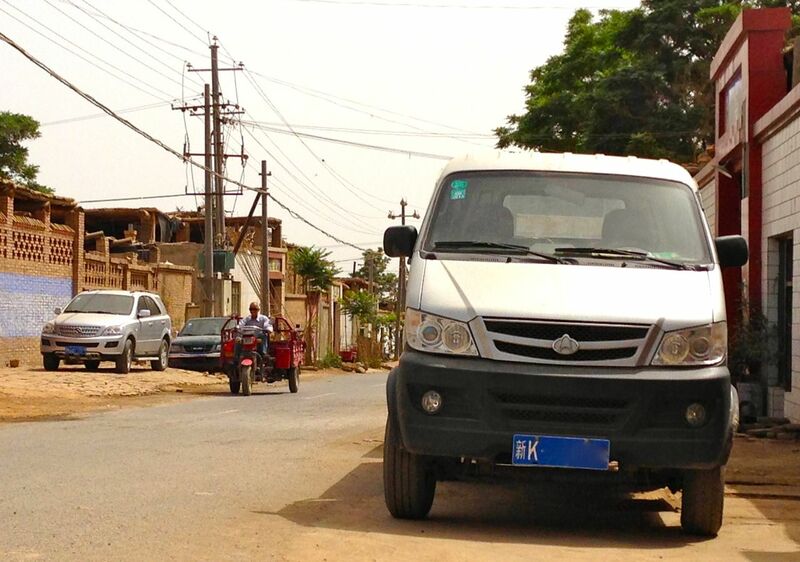 All in all, we are looking at a vehicle landscape in Turpan that is 70% Chinese, a very high rate consistent with my previous observations in remote areas further South West.